keith Godchaux, American keyboard player and songwriter (Grateful Dead and Heart of Gold Band) was born 19 July 1948. 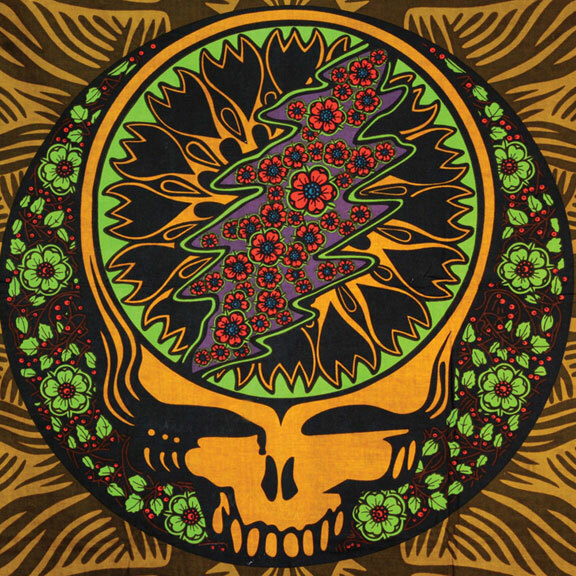 The Grateful Dead were fomed in 1965 in the San Francisco Bay Area and were known for their unique and eclectic style, which fused elements of rock, folk, bluegrass, blues, reggae, country, improvisational jazz, psychedelia, and space rock. These various influences made the Grateful Dead “the pioneering Godfathers of the jam band world.” They were ranked 57th rolling Stone’s Greatest Artists of all Time poll and were inducted into the Rock and Roll Hall of Fame in 1994 and their Barton Hall Concert at Cornell University was added to the Library of Congress’s National Recording Registry.The founding members of the Grateful Dead were Jerry Garcia (guitar, vocals), Bob Weir (guitar, vocals), Ron “Pigpen” McKernan (keyboards, harmonica, vocals), Phil Lesh (bass, vocals), and Bill Kreutzmann (drums). Sadly The band’s “high time” came to a sudden halt when Mydland died in 1990. So Vince Welnick, joined on keyboards and vocals and Bruce Hornsby joined the band on Piano and vocals on September 15, 1990.The fans of the Grateful Dead, some of whom followed the band from concert to concert for years, are known as “Deadheads” and are known for their dedication to the band’s music. From 2003 to 2009 former members of the Grateful Dead, along with other musicians, toured as The Dead and The Other Ones. 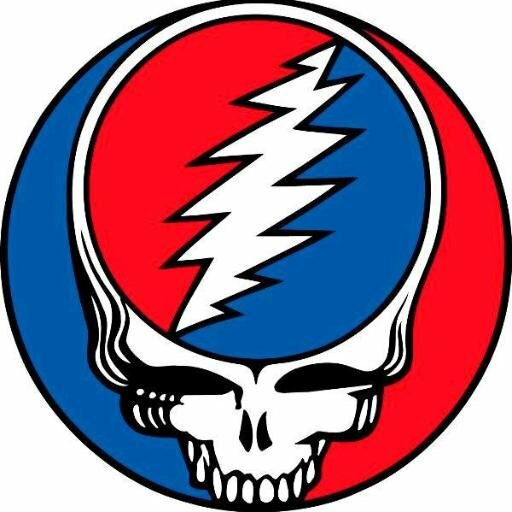 There are many contemporary incarnations of the Dead, with the most prominent touring acts being Furthur and Phil Lesh & Friends and although both Jerry Garcia, Brent Mydland and Keith Godcheaux have passed away, they remain popular. Allen Collins, the American guitarist and songwriter with Lynyrd Skynyrd, The Rossington-Collins Band, and Allen Collins Band was Born 19 July 1952. Allen Collins joined Skynyrd in Jacksonville, Florida just two weeks after Ronnie Van Zant and Gary Rossington, along with Bob Burns and Larry Junstrom. So came the birth of Lynyrd Skynyrd in the summer of 1964. Allen Collins and lead singer Ronnie Van Zant co-wrote many of the biggest Skynyrd hits, including “Free Bird”, “Gimme Three Steps”, and “That Smell”. The band received national success beginning in 1973 while opening for The Who on their Quadrophenia tour. On October 20, 1977, the Skynyrd plane crashed into a forest in Mississippi killing three band members, including Van Zant. Collins was seriously injured in the crash, suffering two broken vertebrae in his neck and severe damage to his right arm. While amputation was recommended, Collins’ father refused and Allen eventually recovered. During the early 1980s, Collins continued to perform on stage in The Rossington-Collins Band which enjoyed modest success, releasing two albums (Anytime, Anyplace, Anywhere, and This Is the Way), and charting a few singles (notably “Don’t Misunderstand Me”). Tragedy struck again just as the Rossington Collins Band was getting off the ground. In 1980, during the first days of the debut concert tour, Allen’s wife, Kathy, suddenly died of a hemorrhage. This forced the tour’s cancellation. With the lingering effects of losing his friends in the plane crash, Kathy’s death devastated Allen. The Rossington-Collins Band disbanded in 1982. Allen continued to pursue music, starting the Allen Collins Band, which released one album, Here, There & Back in 1983. 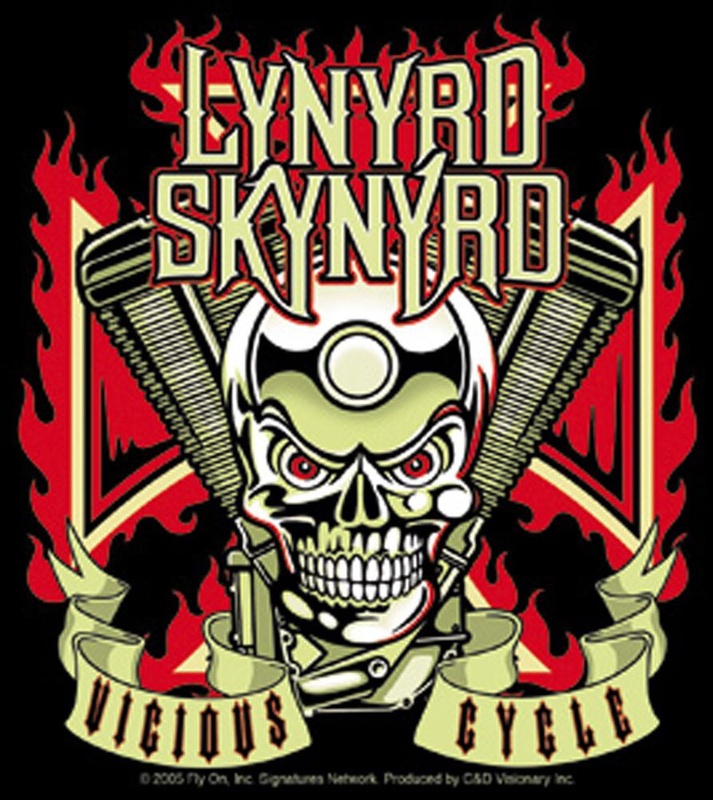 The six members were Skynyrd keyboardist Billy Powell and bassist Leon Wilkeson, along with lead singer Jimmy Dougherty, drummer Derek Hess, and guitarists Barry Lee Harwood and Randall Hall. In 1984, Collins tried to resurrect band, hiring Jacksonville guitarist Mike Owings and bassist Andy Ward King. Later members included guitarist-vocalist Michael Ray FitzGerald and bassist “Filthy Phil” Price. However, Collins crashed his vehicle into a ditch, killing his girlfriend and paralyzing himself. In 1987 Collins and his manager-father decided to reform Lynyrd Skynyrd and began recruiting former Lynyrd Skynyrd members. Sadly though On January 29, 1986, Collins was involved in a car accident, claiming the life of his girlfriend and leaving the guitarist paralyzed from the waist down, with limited use of his arms and hands. Collins pleaded no contest to vehicular manslaughter as well as driving under the influence of alcohol. He would never play guitar on-stage again. Collins’ last performance with Lynyrd Skynyrd was at the band’s very first reunion (after the plane crash) at the 1979 Volunteer Jam V in Nashville, Tennessee. All remaining members of Lynyrd Skynyrd reunited officially in 1987, but due to his injury, Collins only served as musical director. As part of his plea bargain for the 1986 accident, Collins addressed fans at every Skynyrd concert with an explanation of why he could not perform, citing the dangers of drinking and driving, as well as drugs and alcohol. Also because of Collins’ accident, the band donated a sizable amount of concert proceeds from the 1987–88 tour to the Miami Project, which is involved in treatment of paralysis. Collins founded Roll For Rock Wheelchair Events and Benefit Concerts in 1988 to raise awareness and to provide opportunities for those living with spinal cord injury and other physical challenges. Allen Collins died on January 23, 1990 from chronic pneumonia, a complication of the paralysis; he is buried beside his wife in Jacksonville, Florida. Queen enjoyed success in the UK with their debut and its follow-up, Queen II (1974), but it was the release of Sheer Heart Attack (1974) and A Night at the Opera (1975) that gained the band international success. The latter featured “Bohemian Rhapsody”, which stayed at number one in the UK Singles Chart for nine weeks; it charted at number one in several other territories, and gave the band their first top ten hit on the US Billboard Hot 100. Their 1977 album, News of the World, contained two of rock’s most recognisable anthems, “We Will Rock You” and “We Are the Champions”. By the early 1980s, Queen were one of the biggest stadium rock bands in the world, and their performance at 1985′s Live Aid is regarded as one of the greatest in rock history. May generally sang the lower-range backing vocalist. On some of his songs, he sings the lead vocals, most notably the first verse of “Who Wants to Live Forever”, the final verse of “Mother Love”, the middle eight on “I Want It All” and “Flash’s Theme”, and full lead vocals on “Some Day One Day”, “She Makes Me (Stormtrooper in Stilettoes)”, “’39”, “Good Company”, “Long Away”, “All Dead, All Dead”, “Sleeping on the Sidewalk”, “Leaving Home Ain’t Easy” and “Sail Away Sweet Sister. May also composed many great songs such as “We Will Rock You”, “Tie Your Mother Down”, “I Want It All”, “Fat Bottomed Girls”, “Who Wants To Live Forever” and “The Show Must Go On”, “Hammer to Fall”, “Flash”, “Now I’m Here”, “Brighton Rock”, “The Prophet’s Song”, “Las Palabras de Amor”, “No-One But You” and “Save Me”. After the Live Aid concert, in 1985 Queen released “One Vision”. For their 1989 release album, The Miracle, the band had decided that all of the tracks would be credited to the entire band, no matter who had been the main writer. May composed the songs “I Want It All” and “Scandal” (based on his personal problems with the British press). For the rest of the album he did not contribute so much creatively, although he helped in building the basis of “Party” and “Was It All Worth It” and created the guitar riff of “Chinese Torture”. On Queen’s next album Innuendo May’s contributions increased, for the title track he did some of the arrangement for the heavy solo, then he added vocal harmonies to “I’m Going Slightly Mad” and composed the solo of “These Are the Days of Our Lives”, a song for which the four of them decided the keyboard parts together. He changed the tempo and key of Mercury’s song “The Hitman” and took it under his wing, even singing guide vocal in the demo. May also co-wrote some of the guitar lines in “Bijou” . Sadly In 1991, Freddie Mercury died of bronchopneumonia, a complication of AIDS, and Deacon retired in 1997. Since then, May and Taylor have infrequently performed together, including a collaboration with Paul Rodgers under the name Queen + Paul Rodgers which ended in May 2009.The band have released a total of 18 number one albums, 18 number one singles, and 10 number one DVDs. Two songs that May had composed for his first solo album, “Headlong” and “I Can’t Live With You”, eventually ended up on Queen albums. His other composition was “The Show Must Go On”, a group effort in which he was the coordinator and primary composer, but in which they all had input, Deacon and Taylor with the famous chord sequence. In recent years, he has supervised the remastering of Queen albums and various DVD and greatest hits releases. In 2004, May and Taylor announced that they would reunite and return to touring in 2005, with Paul Rodgers (founder and former lead singer of Free and Bad Company). Brian May’s website also stated that Rodgers would be “featured with” Queen as Queen + Paul Rodgers, not replacing the late Freddie Mercury. The retired John Deacon would not be participating.Between 2005 and 2006 Queen and Paul Rodgers embarked on a world tour, the first leg being Europe and the second, Japan and the US in 2006. On 25 May 2006, Queen received the inaugural VH1 Rock Honors at the Mandalay Bay Events Center in Las Vegas, Nevada, and May and Taylor were joined on stage with the Foo Fighters to perform a selection of Queen songs. On 15 August 2006, May confirmed through his website and fan club that Queen + Paul Rodgers would begin producing their first studio album beginning in October, to be recorded at a “secret location”. The album, titled The Cosmos Rocks, was released in Europe on 12 September 2008 and in the United States on 28 October 2008. Following the album the band again toured through Europe and parts of the US, opening on Kharkiv’s freedom square in front of 350,000 Ukrainian fans. The show in Ukraine was later released on DVD. Queen and Paul Rodgers officially split up on 12 May 2009. Rodgers does not rule out the possibility of working together again. Queen received a Lifetime Achievement Award from the British Phonographic Industry in 1990, and were inducted into the Rock and Roll Hall of Fame in 2001.May was also appointed a Commander of the Most Excellent Order of the British Empire (CBE) in 2005 for “services to the music industry and for charity work”. May was awarded a PhD in astrophysics from Imperial College London in 2007 and was Chancellor of Liverpool John Moores University from 2008 to 2013. He was a “science team collaborator” with NASA’s New Horizons Pluto mission. He is also a co-founder of the awareness campaign, Asteroid Day. Asteroid 52665 Brianmay was named after him. May is also an animal rights activist, campaigning against the hunting of foxes and the culling of badgers in the UK. Famous for his work in painting, sculpture, printmaking and regarded as one of the founders of Impressionism, the French artist Edgar Degas was Born 19th July 1834 in Paris, France. He was the oldest of five children of Célestine Musson De Gas, a Creole from New Orleans, Louisiana, and Augustin De Gas, a banker. His maternal grandfather Germain Musson, was born in Port-au-Prince, Haiti of French descent and had settled in New Orleans in 1810. Degas began his schooling in 1845 enrolling in the Lycée Louis-le-Grand. His mother died when he was thirteen, and his father and grandfather became the main influences on him for the remainder of his youth. Degas began to paint early in life and became a superb draftsman. By the time he graduated from the Lycée with a baccalauréat in literature in 1853, at age 18, he had turned a room in his home into an artist’s studio. Upon graduating, he registered as a copyist in The Louvre Museum, but his father expected him to go to law school. Degas duly enrolled at the Faculty of Law of the University of Paris in November 1853. In 1855 he met Jean-Auguste-Dominique Ingres, whom Degas revered and whose advice he never forgot: “Draw lines, young man, and still more lines, both from life and from memory, and you will become a good artist” in 1855 Degas was admitted to the École des Beaux-Arts. He studied drawing there with Louis Lamothe. Early in his career, he wanted to be a history painter, a calling for which he was well prepared by his rigorous academic training and close study of classic art. In July 1856, Degas traveled to Italy. In 1858, while staying with his aunt’s family in Naples, he made the first studies for his early masterpiece The Bellelli Family. He also drew and painted numerous copies of works by Michelangelo, Raphael, Titian, and other Renaissance artists. 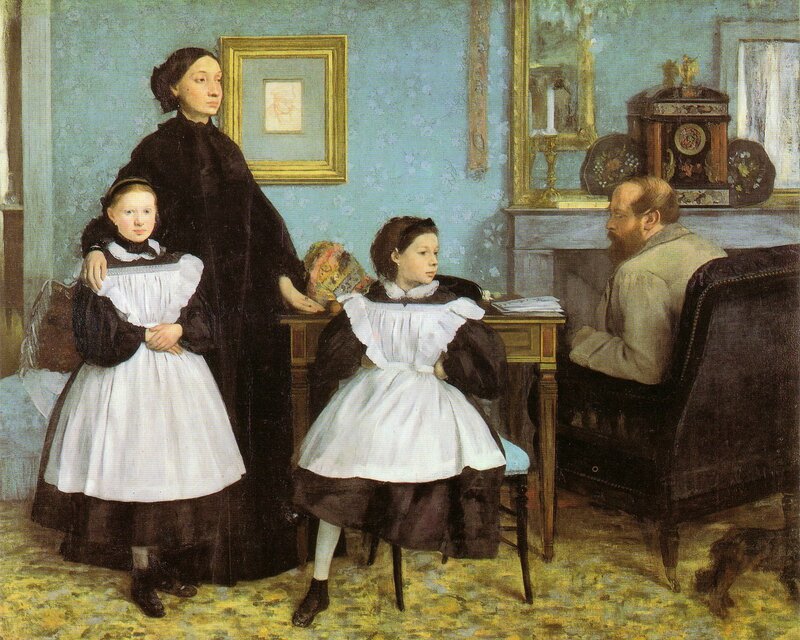 Degas returned to France in 1859, and moved into a large Paris studio And began painting The Bellelli Family, intended for exhibition in the Salon. He also began work on several history paintings: Alexander and Bucephalus and The Daughter of Jephthah, Sémiramis Building Babylon and Young Spartans. In 1861 Degas visited his childhood friend Paul Valpinçon in Normandy, and made the earliest of his many studies of horses. He exhibited at the Salon for the first time in 1865, exhibiting the painting Scene of War in the Middle Ages and continued to exhibit paintings at the Salon for the next five years including “Steeplechase—The Fallen Jockey”. Degas then abruptly changed subject matter bringing the traditional methods of a history painter to bear on contemporary subject matter, he became a classical painter of modern life. This was inspired in part by Édouard Manet, whom Degas had met in 1864 (while both were copying the same Velázquez portrait in the Louvre. During the Franco-Prussian War Degas enlisted in the National Guard, where his defense of Paris left him little time for painting. Sadly his eyesight hindered him. In 1872 Degas visited New Orleans, Louisiana, where his brother René and a number of other relatives lived. Staying at the home of his Creole uncle, Michel Musson, on Esplanade Avenue, Degas produced a number of works, including A Cotton Office in New Orleans, many depicted family members. Degas held the view that a painter could have no personal life, Consequently Degas became isolated. Then The Dreyfus Affair controversy brought his anti-Semitic leanings to the fore and he broke with all his Jewish friends this together with his argumentative nature alienated him from most of his friends. Between 1907 and 1910 he Continued working in pastel and making Sculptures but he ceased working in 1912, when the impending demolition of his longtime residence on the rue Victor Massé forced him to move to quarters on Boulevard de Cliche. He spent the last years of his life, nearly blind, restlessly wandering the streets of Paris before dying 27 September 1917.